Did you know the word ‘gullible’ isn’t in the dictionary? Home > Blog > Did you know the word ‘gullible’ isn’t in the dictionary? If you’re anything like me, then you love flexing your vocabulary and learning new words to build your lexicon. When you have command of the English language, you possess more power than you probably realize. Why? Because if you can deliver your thoughts and ideas with precise articulation, the world understands you better. You’re more likely to be heard when you express yourself with intelligence and clarity. The dictionary is an excellent source for gaining lexical knowledge. It’s an obvious authority on words, concerning a slew of important information about them, like their spelling, definition, pronunciation, syllable count, etymology, and more. It’s no wonder we have a day like today, National Dictionary Day. 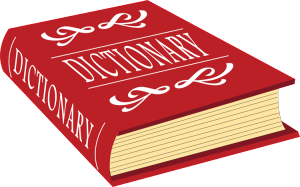 Dictionaries used to be books, but nowadays, the word ‘dictionary’ includes all technological modernizations such as CD-ROMs, applications on mobile devices, and resource sites online—like Dictionary.com. Basically, if you can use it like a dictionary, then it’s still a dictionary…unless it’s a thesaurus. Then it’s a thesaurus…the dictionary’s cousin. We’ll celebrate Thesaurus Day in a few months. Believe it or not, Noah Webster did not make the first dictionary—just the one that we all know and love. Actually, dictionaries (as far as we know) date back to 2300 B.C. 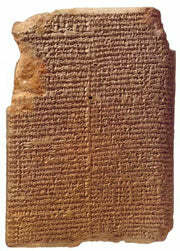 The oldest dictionary ever found was a simple, bilingual wordlist of words in the Sumerian and Akkadian languages. It took time for dictionaries to develop certain characteristics that are nothing short of customary for us nowadays. The listing order, for example, wasn’t always alphabetical. They didn’t necessarily provide such a wide assortment of information. And, thus, they had yet to yield their authoritative connotation as they do now. We have Mr. Noah Webster to thank for his boundless efforts in creating the expanded and fully comprehensive ‘American Dictionary of the English Language’ in 1828. It took him 27 years to complete his dictionary—which isn’t really even THAT long, when you consider that he learned 26 languages in order to properly get the job done! Have fun building your vocabularies today by looking up any words you didn’t understand in my Blog post today. I intentionally threw in some particularly big ones just for you. Thanks for reading, Blog Fans, and Happy Dictionary Day.